Having travelled up to Scotland along the east of England, we decided to make the most of our trip and see a tiny bit of the west on the way home. 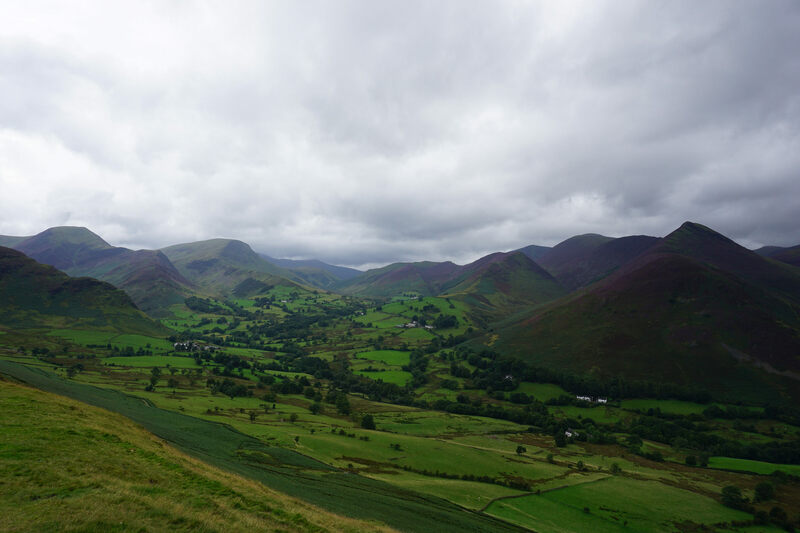 So we broke our journey back to London with a quick detour into the Lake District. We packed a picnic, pulled on our boots and easily found the trailhead (and luckily some parking close by!). The path was clear, albeit it pretty steep at times, and we quickly found ourselves enjoying the gorgeous landscapes. 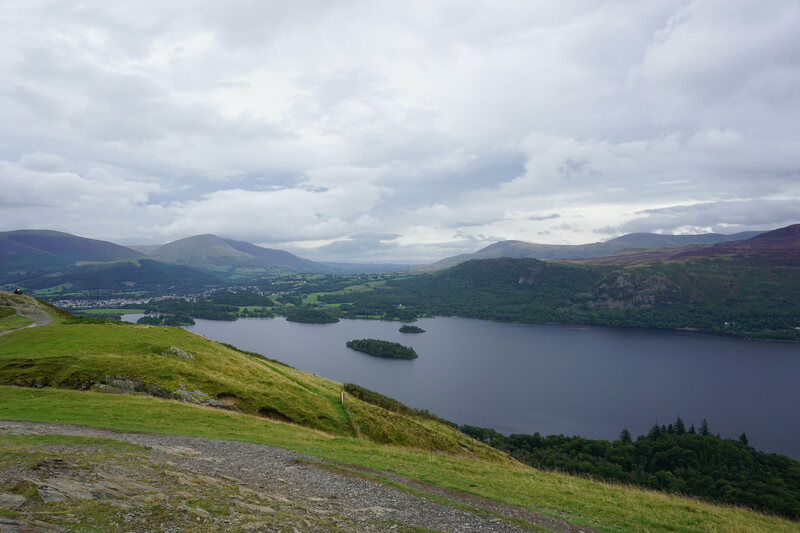 Alex was convinced Derwent Water was the location for Swallows and Amazons and kept trying to look for the childrens’ boats! 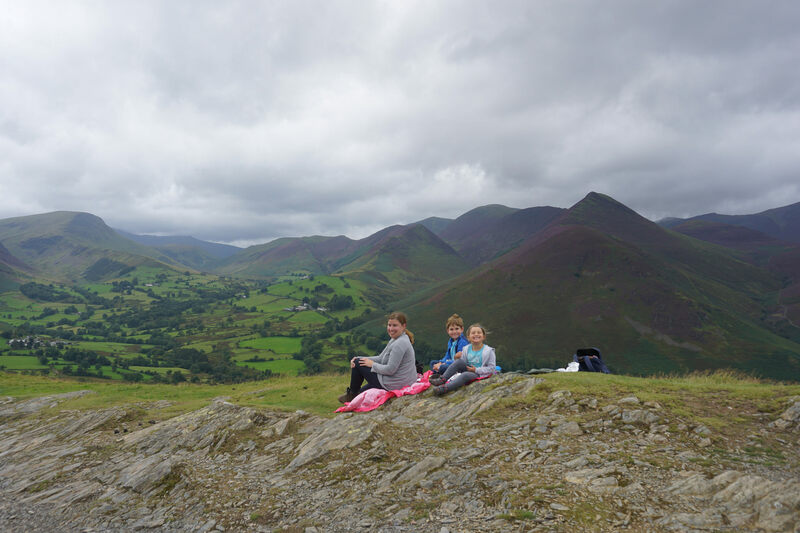 When we were about half way up, we stopped for our picnic and spent ages just enjoying the far reaching views. It all looked very atmospheric with the moody, grey sky. 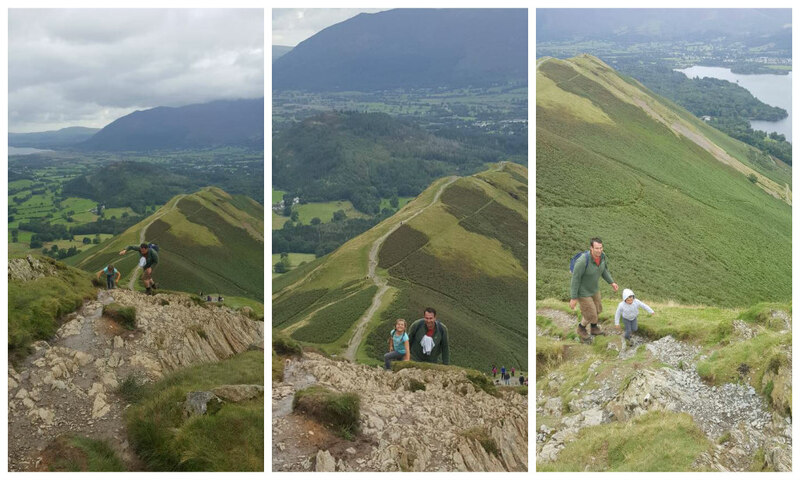 From there, the path steepened and became enormous fun as we scrambled up the rocks. 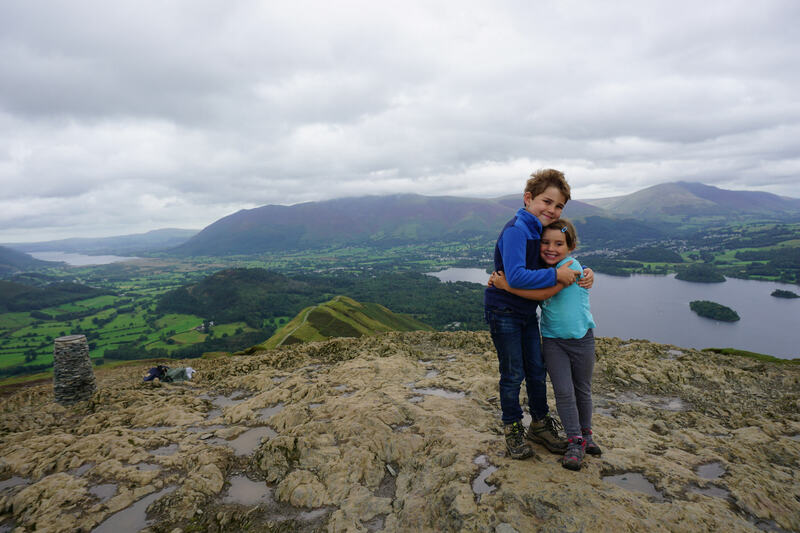 Both the children ignored the easier routes, and opted for more challenging climbs. They did so well! 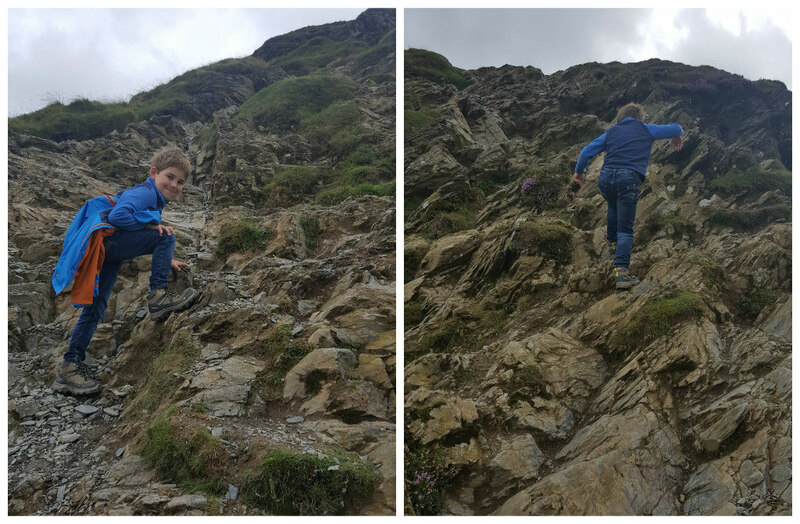 We now call Sophie ‘mountain goat’ now after she sprung up the steep rocks! 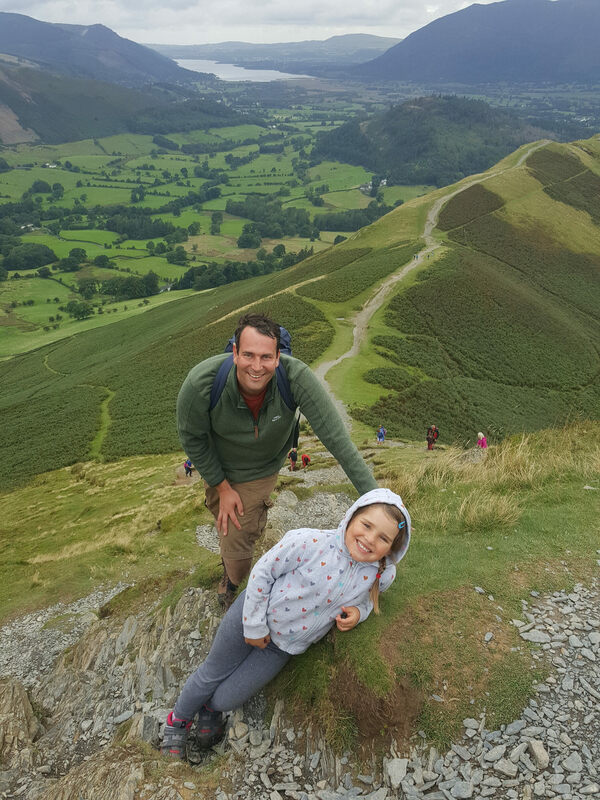 Alex led the way, looking for the steepest scrambles he could and loving every minute! We were almost disappointed when the summit cairn became visible! 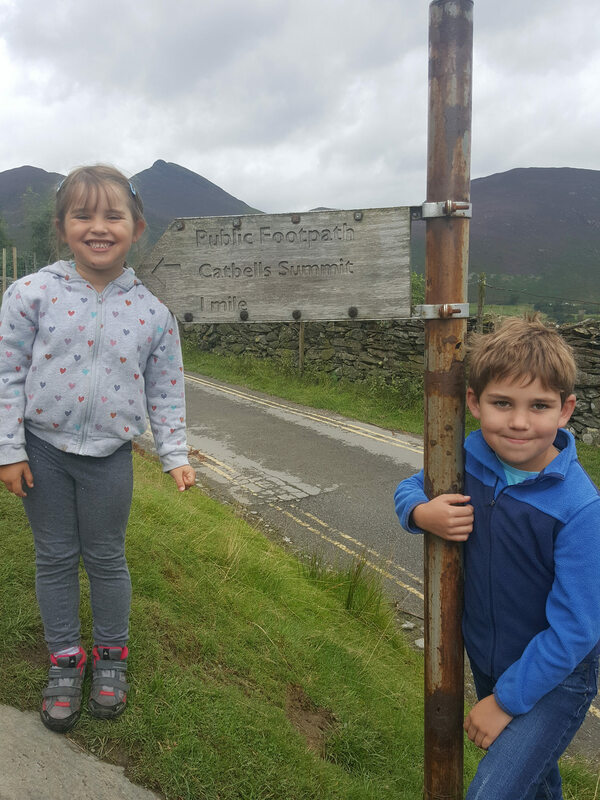 Sophie and Alex were confused about why the cairn wasn’t actually at the highest point on the fell, so they insisted on having a photograph on the summit together! And photographer Sophie opted to take a few snaps of her own, including this one of the three of us. 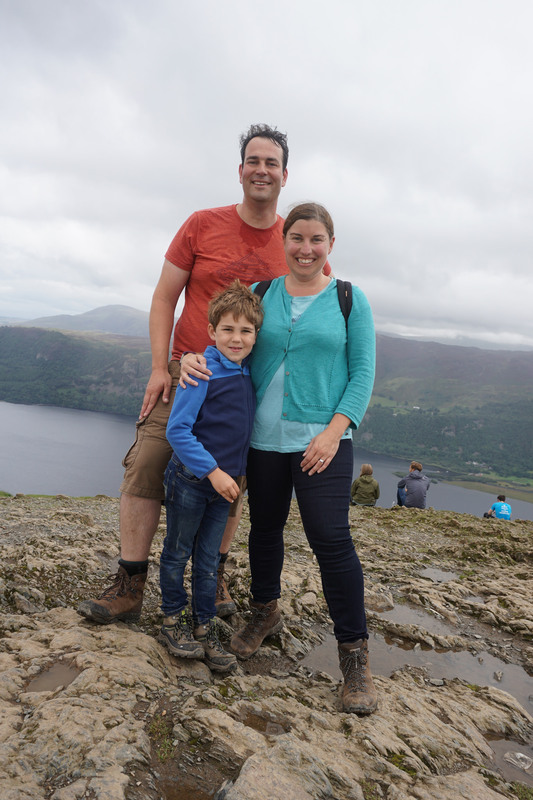 With a dinner date fast approaching, we didn’t dwell on the summit and made our way back down following a different route, walking through slopes covered in purple heather and dotted with little water falls. 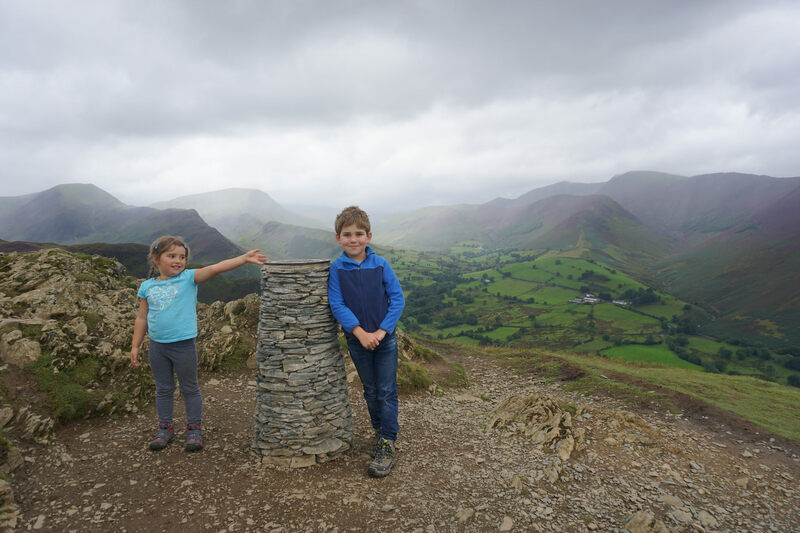 It was the perfect walk – Wainwright was right, it’s the perfect family fell. 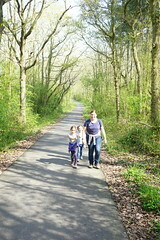 In total we did about 6km, but none of it was too challenging for little legs and there were plenty of places to stop. 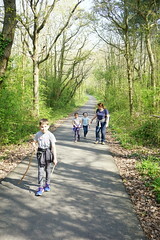 If you’re passing and fancy following our footsteps, you can find the route here. Sadly we only had time for one fell, but we’ll definitely back for more soon. Not least because we have family in the neighbourhood! After the walk, we freshened up and heading to nearby Penrith to meet up with Matt’s aunt, uncle and cousin who moved up to Cumbria a decade ago. 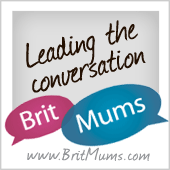 We all loved exploring their incredible (and hugely productive!) garden – and then eating the harvest together at dinner! Here’s Matt with his family just before we hit the road to continue our journey home. We had just one more stop on our journey. But more on that tomorrow. What a beautiful mid point stopping point. 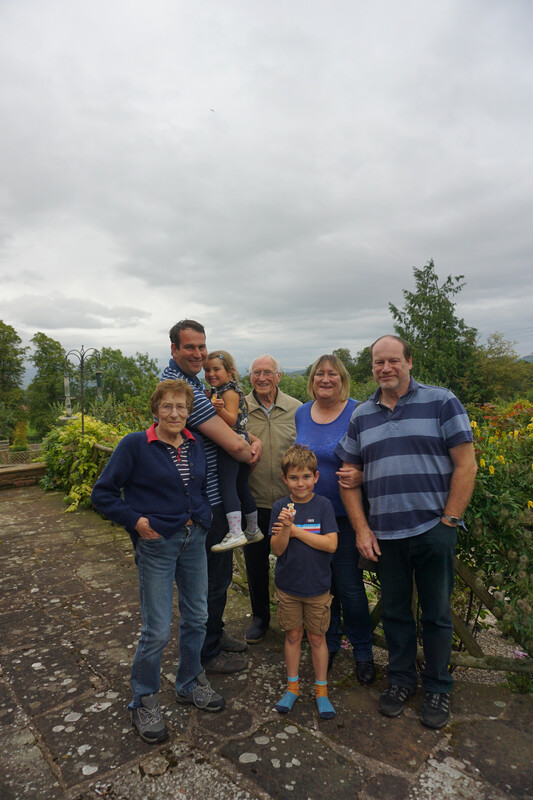 We did just the same thing the last time we went to Scotland – though thinking back it was pre kids! 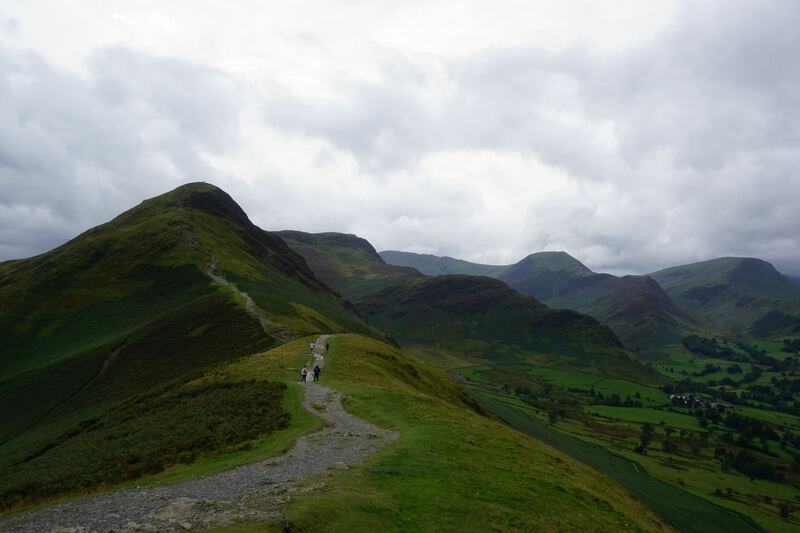 I’d love to visit the Lakes again, the views and landscape in your photos are stunning and climbing that fell looks like a perfect way to stretch your legs.